There are many lasers available for LASIK vision correction, but only one WaveLight® Allegretto Wave® EYE-Q Laser. This laser is one of the most preferred laser systems available and Dr. Goosey has performed thousands of LASIK vision correction surgeries using the WaveLight® Allegretto system. The WaveLight® FS-200 femtosecond laser is the newest on the market. It is the fastest, most reliable, and most accurate femtosecond laser available today. Does Dr. Goosey’s LASIK Procedure with WaveLight® Allegretto Really Work? 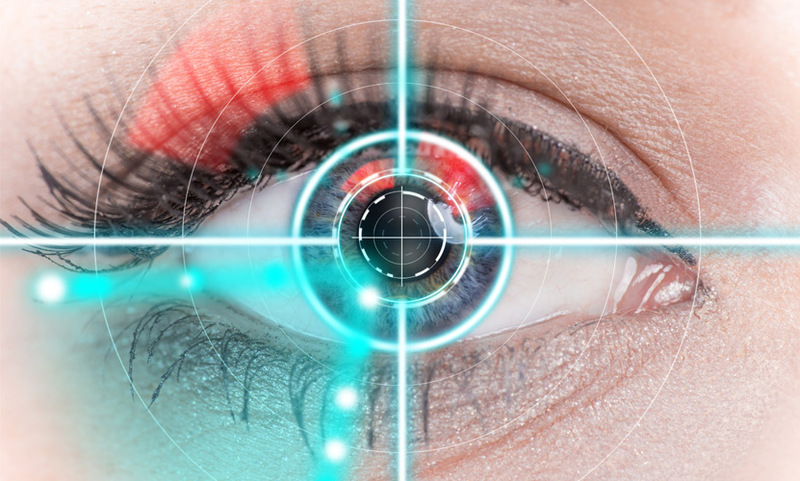 More than 17 million people worldwide have had some form of laser vision correction. Every year, nearly 400,000 Americans have LASIK surgery. 93% of nearsighted patients see at least 20/20 or better following LASIK eye surgery. 87% of LASIK patients recommend LASIK to their friends. 92% of patients described their vision as “good” or “excellent”. Think 20/20 vision is impressive? 75% of Wavefront Optimized® treated nearsighted patients, and 64% of Wavefront-Guided nearsighted patients actually see better than 20/20. MyAlcon, Alcon Novartis Co., (n.d.) “Clinical studies for the WaveLight®. Excimer Laser Systems”. [Brochure] N.P. The WaveLight® Allegretto Wave® Eye-Q Laser was the first new laser approved by the FDA in five years when, in 2003 it was granted the widest approval range ever initially given to a new laser for both myopic and hyperopic vision correction. The FDA granted this approval because it recognized the astounding clinical accomplishments made during the clinical trial. Since then, the clinical results from this laser, being in the hands of a cornea specialist, have continued to be incredibly positive, as manifested by the following historical clinical outcomes. Both near-sighted and far-sighted patients reported an improvement in their reaction to bright lights and night driving glare after these laser treatments. Dr. Goosey has performed thousands of highly successful laser correction surgeries with the WaveLight® Allegretto Wave® Eye-Q Laser, and is considered an expert even by other eye surgeons. Improving vision to be able to see 20/20 (sometimes even better) is now possible. The laser allows Dr. Goosey to provide a fully customized LASIK treatment for each patient’s individual prescription and cornea. This process utilizes the Wavefront Optimized® treatment procedure by modifying the unique curvature and biomechanics of the eye, preserving quality of vision and addressing the various spherical distortions that can result in glare from bright lights, night vision problems and/or conditions of very dim light (such as in fog, rain or snow). The enhancement percentage with the WaveLight® Allegretto Wave® Eye-Q Laser is the lowest of any of the LASIK lasers. Dr. Goosey on average, enhances about 2% of his LASIK patients. 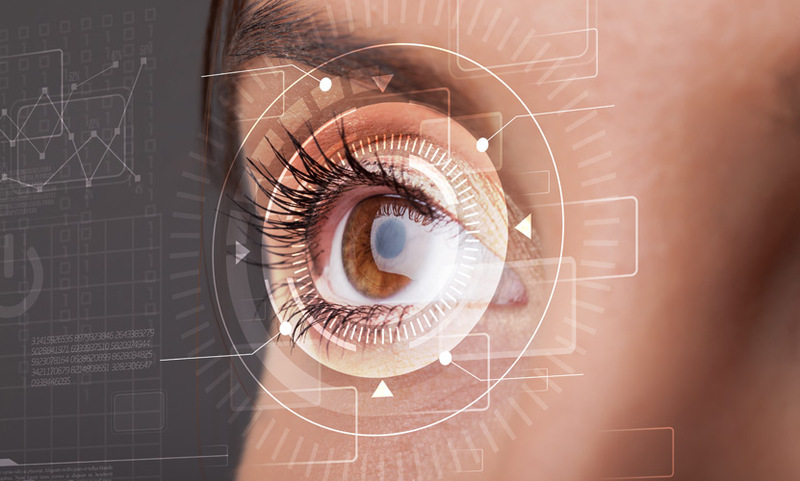 Due to the incredible speed of both the eye and the WaveLight® Allegretto laser procedure, the laser beam needs to be constantly and minutely adjusted to the position of the eye at any given time. The laser that Dr. Goosey has selected is one of the highly-sophisticated tools in his full spectrum of available technology, as it measures the eye’s location every 4-6 milliseconds. Then, the internal mirrors of the WaveLight® Allegretto laser automatically align immediately prior to the pulse being released, and a second check is made to confirm that the eye has not moved. Throughout the procedure, this happens 400 times every second: once for every laser pulse released. The laser will stop immediately if the eye ever moves too quickly to be measured, or moves out of range; and, will resume once the eye has moved back into position. This makes it impossible for the patient to affect the outcome of the procedure. That is why Dr. Goosey only trust the WaveLight® Allegretto Wave® Eye-Q Laser for his LASIK patients. PerfectPulse Technology™ helps ensure safe and precise work at high speed. The ultra-thin laser pulses sculpt the corneal surface of the eye with the utmost accuracy. 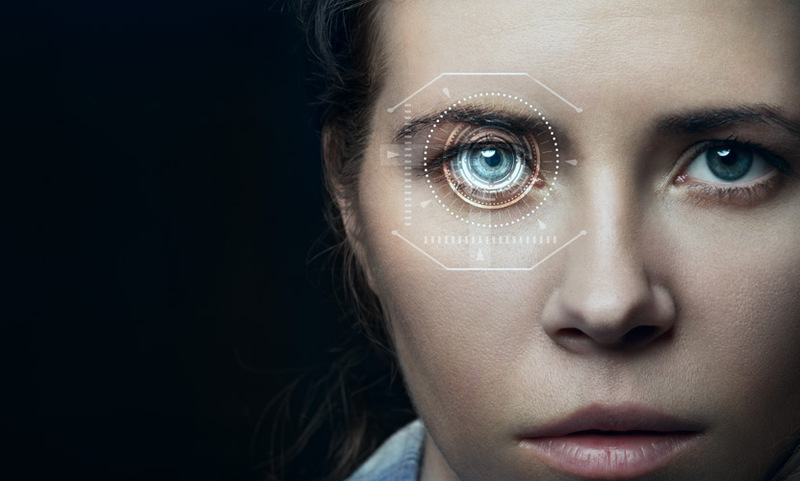 The high-speed eye-tracker follows the eye’s fastest movements, checking the eye’s positions while ensuring an accurate placement of each laser pulse on the cornea. 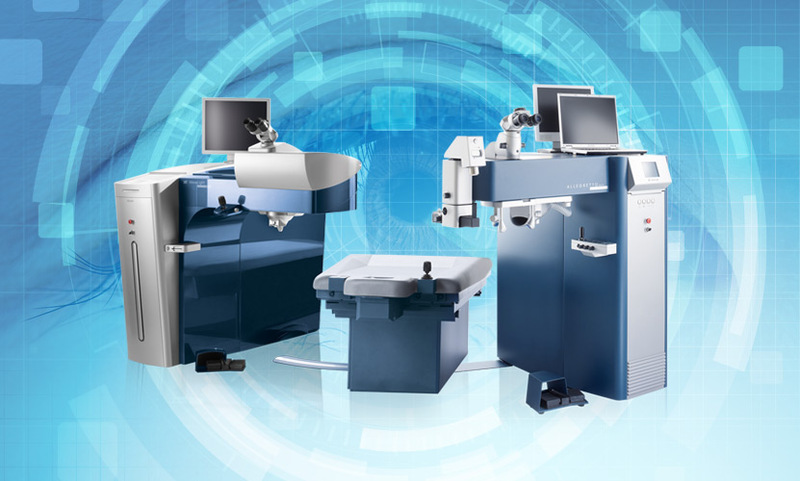 In addition, an integrated cross line projector provides the surgeon with an exact alignment of the eye’s position, making the WaveLight® Allegretto Wave® Eye-Q Laser one of the safest, most effective optical lasers currently available. Not all physicians use this technology. PerfectPulse Technology™ accounts for speed, precision, and safety in the WaveLight® Allegretto Wave® Eye-Q Laser, and offers improvements that are revolutionary in the field. The smart energy control, for instance, measures and adjusts energy levels in the laser pulse from creation to delivery. Another specific component is the high-speed eye tracking which charts the eye’s movement 400 times per second. As a result of the integration of the most advanced technology available, every laser pulse is completely controlled and accurate, achieving the most accurate level of correction possible. The most respected eye surgeons in the world have peace of mind, and so can you, that the amount of energy in the laser has been calibrated to exactly the right level. Once the beam has been created, it will pass through three checkpoints before reaching your eye. At each of these strategic checkpoints, the energy level is checked and adjusted if necessary, ensuring that the beam is perfectly attuned at its destination. The laser produced by the WaveLight® Allegretto Wave® Eye-Q Laser is essentially a precise and controlled beam of energy, which translates to heat. Making sure that this beam never causes any sort of adverse heating effect on the cornea, the PerfectPulse Technology™ used by the WaveLight® Allegretto laser, places the laser pulses in such a way that only every fifth pulse overlaps. Not only are unwanted heating effects precluded, but it is also one of the ways that this laser assures the achievement of a rounder and more natural corneal surface than many of the other lasers used for vision correction. As a nationally board-certified Ophthalmologist, an internationally known (and respected) world leader in both corneal and refractive surgery, and as a laser surgery specialist with experience using many types of eye laser technologies in thousands of successful operations over the years – Dr. Goosey selects nothing less than the most sophisticated equipment available (with full FDA approval). That is another reason why he’s chosen the WaveLight® Allegretto Wave® Eye-Q Laser which is the fastest vision correction laser available in the United States. At an astounding 400 laser bursts per second, treatment generally takes nearly four seconds to correct one diopter (the unit of measurement of the optical power of the lens in your eye). Spending the least amount of time under the laser equates to the least amount of possible stress and discomfort for the patient. Another innovative feature of the WaveLight® Allegretto Wave® Eye-Q Laser is the way it uses Wavefront Optimized® technology to automatically compensate for the curvature of the cornea. Earlier laser correction systems focused basically on the center on the front of the cornea. The result was often a flattened circular area which tended to end with an abrupt edge, causing unwanted side effects like poor night vision, glare, and halos. This innovative laser has changed all that. Understanding that the cornea is a sphere, the WaveLight® Allegretto laser uses a proprietary treatment in the WaveLight® Allegretto Wave® Eye-Q Laser that is adjusted to the patient’s individual corneal curvature. This technology sends extra pulses to the peripheral cornea area to compensate for the angle of the laser. This process makes it so that the spherical shape of the cornea is preserved to a degree that older lasers simply could not achieve. This compensation, in combination with the incredibly small 1mm size of the laser, produces a smooth and effective optical zone that produces what can only be described as high performance vision. If you imagine taking a flashlight and aiming it directly at the top of a small glass ball, you can envision that the light would form a circular shape on the surface of the ball. Imagine that you were to aim the flashlight toward the side of the ball; and, you can envision that the light would form an elliptical shape and not seem as bright anymore. If you try this, you will see what is described here since the same amount of light is suddenly distributed over a larger area; and, some of the light is reflected away due to the angled surface of the glass ball. The WaveLight® Allegretto Wave® Eye-Q Laser produces some of the largest available optical zones. The optical zone refers to the portion of the cornea that has been corrected by the laser. An optical zone which is larger than normal is particularly important to help those with night vision problems; and, for patients with very large pupils. If an individual has a pupil larger than the optical zone, they may experience poor peripheral vision, poor night vision, and a higher than normal incidence of “halos” and glare. This was a disappointment and frustration in the past for both the patient and the doctor, propelling it to be one of the biggest drawbacks to conventional laser correction surgery. Now, the advanced technology of WaveLight® Allegretto in the hands of the world renown and respected cornea and laser surgery expert, Dr. John Goosey, have amazing and positive clinical results to offer you encouragement. Our pupils become larger (dilate) during darker conditions such as night or dim light on an overcast or foggy day as well as in rain or snow conditions. They do this in order to permit the maximum amount of light to enter our eyes. Dr. Goosey takes this fact into consideration when determining the laser eye correction needs of his patients. He knows very well that if the optical zone is smaller than the size of the pupil at its largest, there is a good chance that the patient will experience poor night vision or perhaps problems with glare and halos around bright objects such as oncoming headlights. One of the factors that Dr. Goosey considered when selecting this technology, is the fact that the WaveLight® Allegretto Wave® Eye-Q Laser can produce the largest available optical zone, virtually eliminating glare and night vision problems associated with the other LASIK lasers on the market. If you’re ready to get started, we’re ready to help!